Well, the farmer’s almanac was right for this summer. It was certainly sweaty, with days of extremely high temperatures presenting challenges to all gardeners. First, I had to water more frequently, as I know that dried out rose roots will result in a dead rose and, secondly, the Japanese beetle arrived. So, I have spent a lot of time hand picking and knocking them off the roses into buckets of soapy water. Apparently, this is the best way at the present time to deal with the problem. 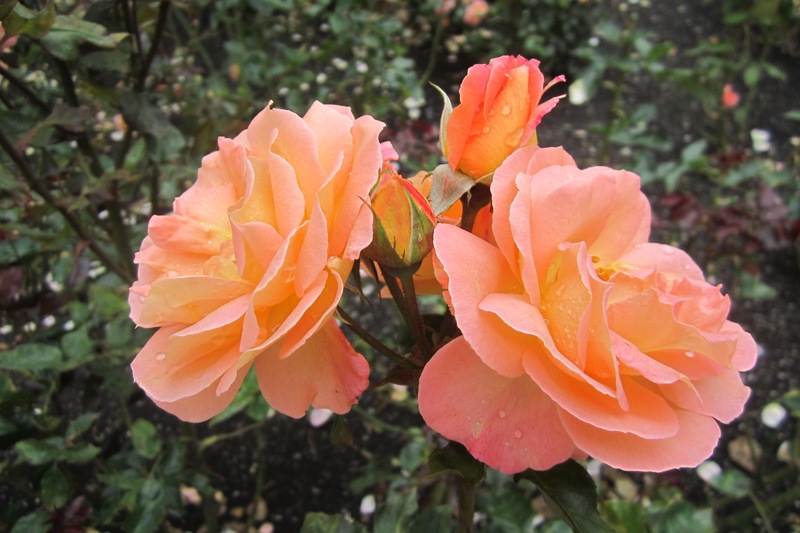 In Honour of Robert Boyes, a long-time HRS Member, who passed away in December 2015, two Campfire rose bushes were planted at the Millennium Memorial Rose Garden. 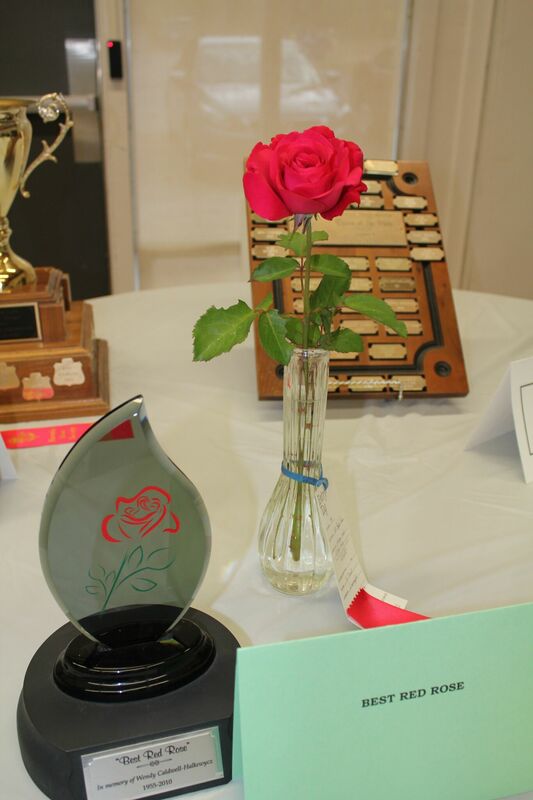 They were purchased, thanks to several donations to the Rose Society on behalf of Mr. Boyes. We appreciate the assistance of our HRS voIunteers: Edna, Jeanne, Ina, Irene, Cherin, and Dave, who helped with any and all maintenance jobs this year. We did have a nice number of volunteers, but more are always welcome for next year. 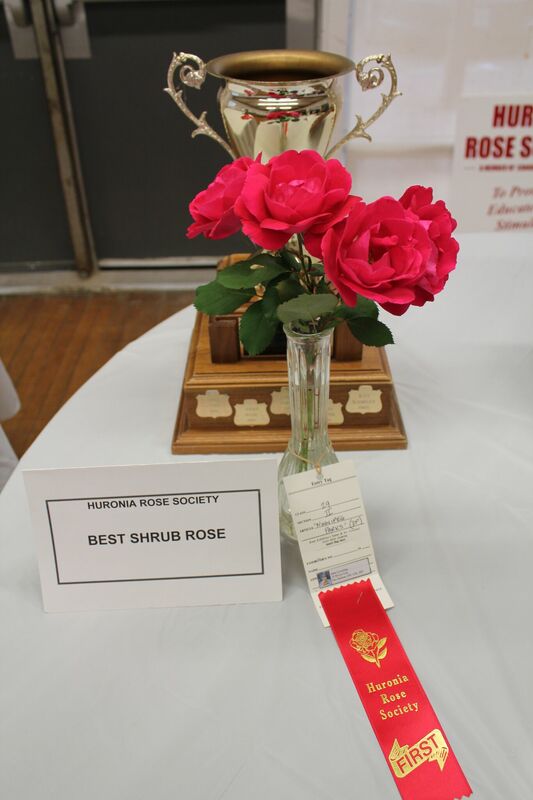 Our 2016 Rose Show was held at the Dorian Parker Centre with 144 entries by 15 exhibitors. 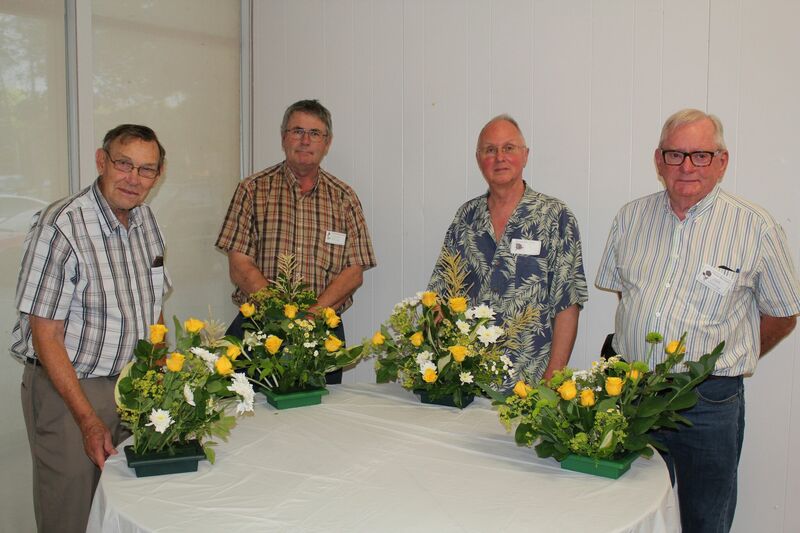 While the show was being judged, visitors were entertained by the Four Amigos (aka David Ross, Ron Spencer, Dale Lovering and Carl Phillips) returning to hone their floral design skills. They each made a beautiful triangular design under the guidance of Edna Caldwell. 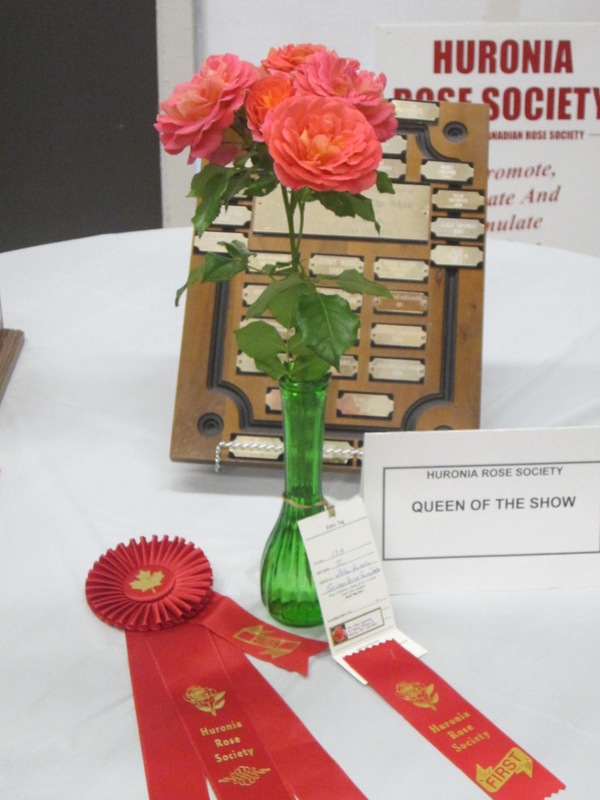 The main room was a wonderful sight to behold with so many beautiful roses on display. These were augmented with artistic designs by our members depicting our theme, “Roses through the Ages”. 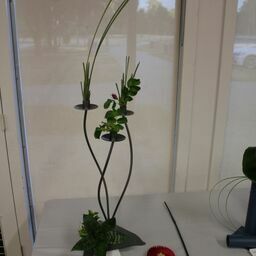 An Invitational class for floral design judges, who are not members of Huronia Rose Society, rounded out the display showing Futuristic designs. Awards will be given out at the September 20th meeting. We invite new blood (so to speak) on our Board of Directors for Yr. 2017. If you are interested in serving, speak to Janice Schmidt, Ellen Spencer or Edna Caldwell, at our Sept. 20th Open Meeting. When coming onto the HRS Board, you serve in the area that interests you. 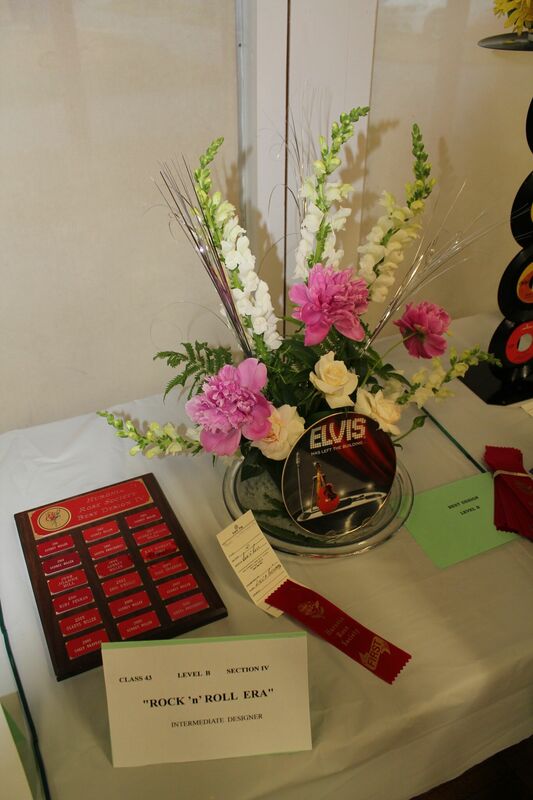 You may also get a telephone call from our Nominating Committee if we are still looking for volunteer Board Members. 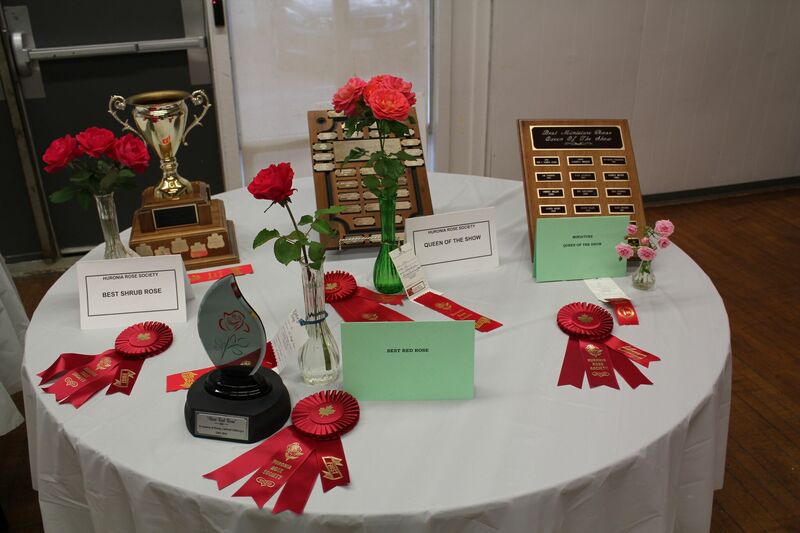 Our AGM and nominations will take place at the October 18th Open meeting. At this time, the Nominating Committee will present, for membership approval, the new Board of Directors for Year 2017. Nominations will be also accepted from the floor to fill vacancies. In the evening of July 12th, ten HRS Members visited the residence of Maria & Jack Graves, Barrie, to view their English-style garden. Snacks were shared and the Graves served a delicious punch plus savory fare. This event was a “Members Only” event that we have tried several times before, and it seems that a week-day evening format works well. Watch for next summer’s Members’ invitation. 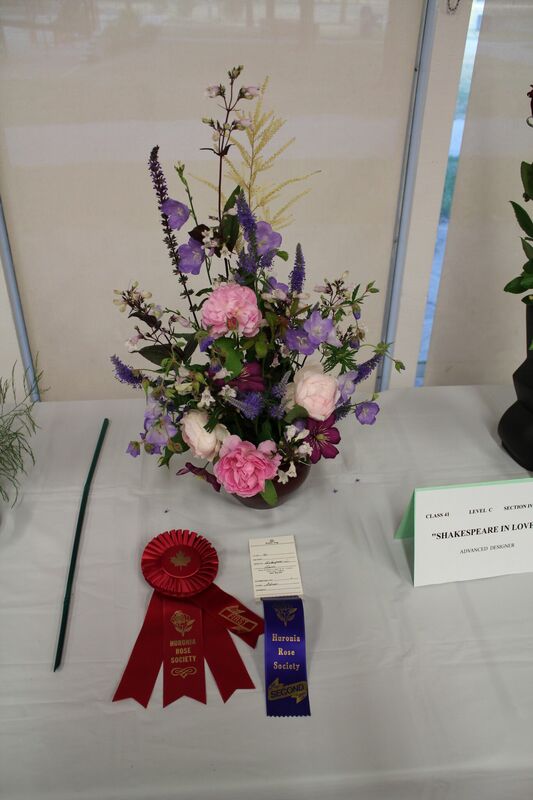 Our next Open Meeting, scheduled for Tuesday, October 18th, is the time to submit all those lovely photos you have been taking of your roses and gardens all summer. 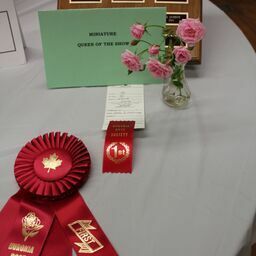 They are to be given to the Competition convenor, Janice Schmidt, with your name, and Competition Class (please reference the photographic rules attached to the May/June newsletter. Please tape an entry tag, as well, to each photo submitted. There will be entry tags available at the September meeting, which you can bring to the October meeting, ready to go. So, come early if you need time to fill them out. 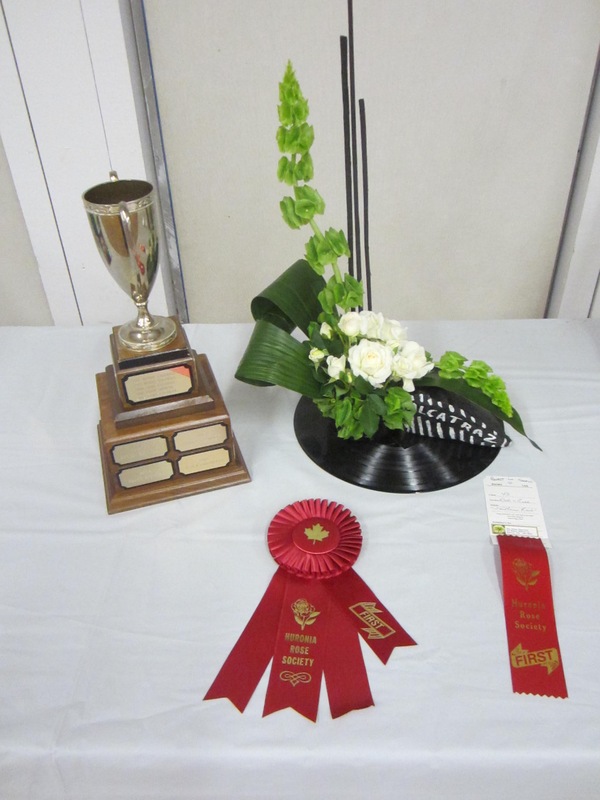 Then, at our April 19th, 2017 Open Meeting, we will see the results of the judging. We would like your thoughts for the future. We are thinking that in 2017 to have the photographs submitted and judged at the October show. No more waiting until spring of the next year. What do you think? Please send your thoughts to Janice either by email, or phone.